Impressive weeping standard rose steel supports are beautifully designed and hand crafted by Classic Garden Elements. There’s no better way to enjoy an instant and wonderful garden feature. Rose Umbrellas weeping standard rose steel supports are ideal to create your own rose masterpiece. Our Rose Umbrellas are inspired by the original invention by the famous French Impressionist painter Claude Monet in his garden in Giverny, France. Available from www.classicgardenelements.ie all weeping standard rose steel supports are produced in company’s own workshops. Made from hot-dipped galvanised steel, powder-coated in black and come with a 10 year no rust guarantee. 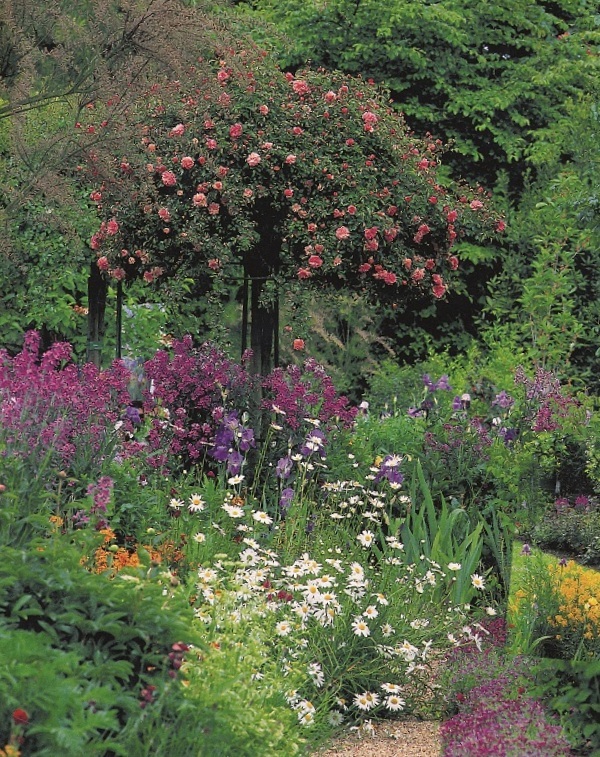 There’s nothing quite like our stunning range of rose and climbing plant supports. Height 165cm/65” plus 45cm/18” for securing in the ground, diameter 88cm/35”. Prices from € 350.00. Choose from two design options, for use with established and/or new standard roses. Classic Garden Elements design and make an unrivalled and extensive range of rose and climbing plant supports, from Obelisks to Arches, Pillars, Arbours and Trellisses. For more information or to view our Dublin display, tel 087-2306 128.